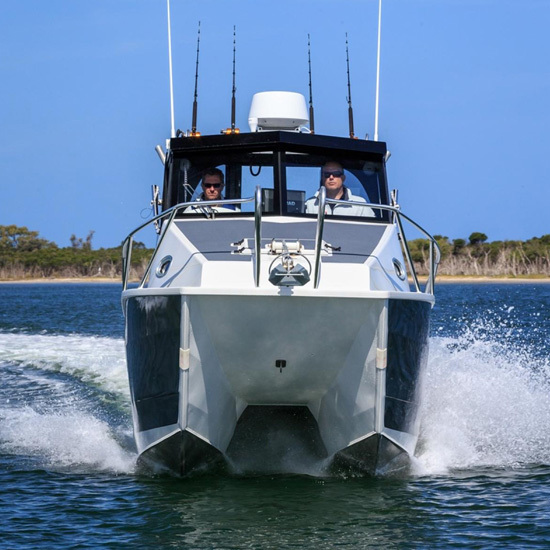 It starts with the Sailfish’s Hydroflow Gen 3 HYDROFLOW hull as a platform, what was a proven hull that had received many accolades from industry commentators and satisfied clients has now improved even further. Increased hull length has added a significant amount of buoyancy to the stern, allowing for increased hole shot performance and along with wider running planks, redesigned chine sections and an improved streamline tunnel all adds up to improved economy, increased hull lift and the ability to plane at lower RPM. Our GEN 3 HYDROFLOW HULL offers the most comfortable ride on the water today, and will outperform any aluminium or fibreglass monohull. 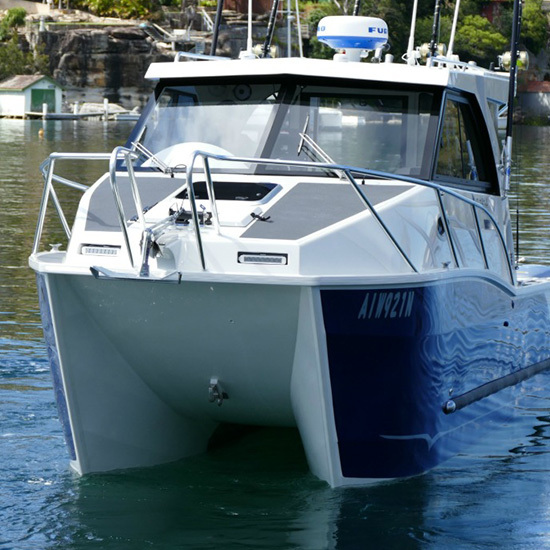 The Hydroflow Gen III transom extends the hulls waterline length by 150mm and provides even more buoyancy at the stern with increased hole shot performance. The chine sections on the Hydroflow Gen III Hull have been redesigned to further increase lift for better performance and economy making the Sailfish Hydroflow Gen III Hull the most advanced hull we have ever created. Wider running planks on the Hydroflow Gen III gives you faster planning times and the ability to plane at lower RPM which all adds up to better fuel economy. 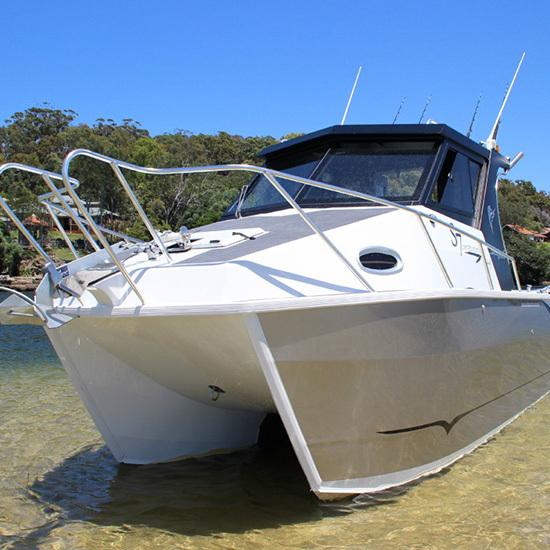 It also makes the boat flatter in turns for easier manoeuvrability. The streamlined tunnel on the Hydroflow Gen III Hull eliminates the funnel effect associated with other catamaran hulls. Sailfish’s attention to hydrodynamic flow patterns has resulted in hull that has minimal drag for maximum fuel efficiency.